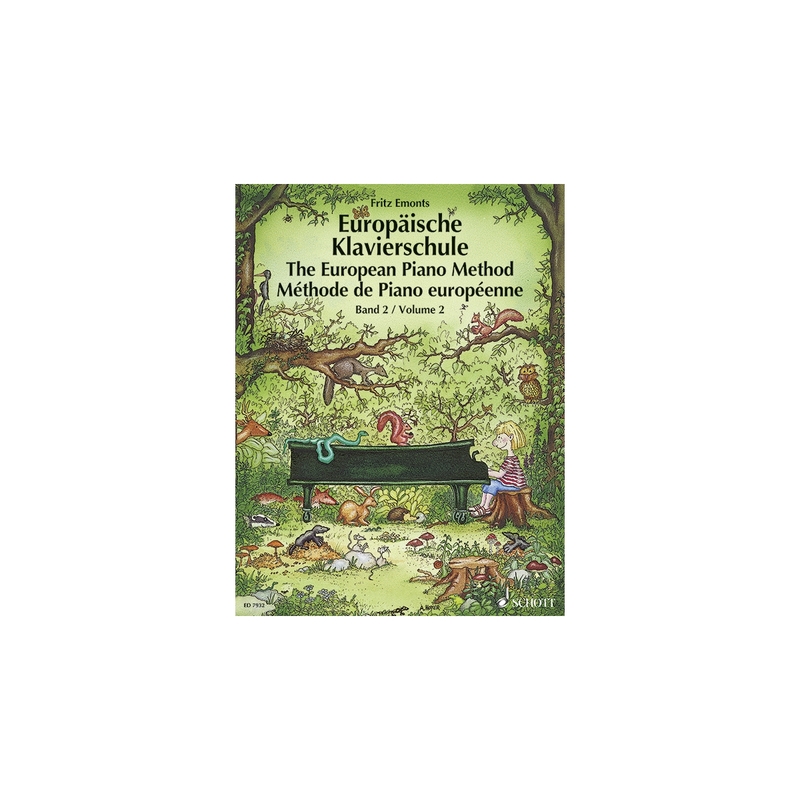 Following the very successful piano method published in two volumes between 1958 and 1962, the three-volume "European Piano Method" represents a new textbook which takes into account the development of modern piano pedagogy. 7 Winning Features of the Emonts Method: 1 Songs from many European countries 2 Pupils begin to play without music notation 3 Improvisation and playing on the black keys 4 Development of listening skills and aural awareness 5 Simple and logical learning structure 6 Lots of duets 7 Attractive full-colour illustrations Volume 2 While the first volume of "The European Piano Method" introduces the basic principles of playing the piano, Volume 2 is concerned with extending technical and musical training. The course begins with the theme of 'Phrasing and Articulation'. 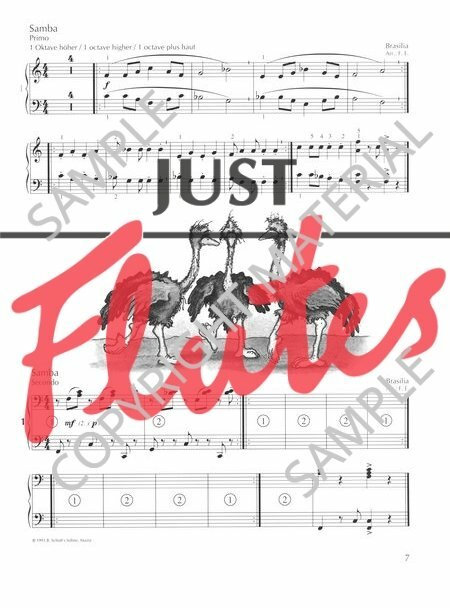 This is followed by a series of pieces arranged systematically to give practice of playing in different keys (3 sharps to 3 flats) and so to improve reading skills and increase familiarity with the keyboard. Together with major and minor scales, the corresponding cadences are introduced which can be varied in many different playing styles. Parallel to this there is granded practice material for playing scales and to develop 'Velocity and Even Playing'. In this way students gradually reach a technical standart that allows 'artistic' work on expression and musical interpretation to begin. This development of musicianship starts with the use of pedal and an introduction to cantabile, which will be taken further in Volume 3. Again, playing by ear, inventing accompaniements, experimenting with timbres and chords, and composing little pieces should constantly supplement lessons. In the appendix of Volume 2, the author offers some idea, though he has consciously left much to the individual approach of the teacher. The most natural way of creating and nurturing the relationship of a child with an instrument is to stimulate and encourage the child to find on the keyboard, and to play by ear, all the tunes he or she has so far assimilated. Not only children's songs or folk songs are suitable for this but also other melodies that may be heard at home, at school, in church, on the radio and on television. The natural progression, from singing and listening to playing, forms the foundation for the development of listening ability and musicality. During a lifetime with an instrument one should always try to replay on it everything that one has heard. The child should, at the same time, be made familiar with the whole keyboard by touch as well as by ear, from the lowest register to the highest. the young player should already have a feeling of contact with the keyboard before piano playing is combined with the complicated process of reading music. Playing only on the black keys to begin with will offer a particularly good opportunity to grasp the arrangements of the black keys (literally) 'grasping'. For improvised melodies, too, the pentatonic scale formed by the black keys is easier to handle at the beginning stages than the diatonic scale of the white keys. For this reason, an introductory section 'Playing with the Black Keys' has been included. Here the teacher, through such material, should encourage the beginner to become familiar with the keyboard. Another advantage in beginning this way lies in the fact that training the functions of the motorial system does not only start within the narrow stretch of the fingers but with the larger playing apparatus of the arms and the whole body. In this way tension can be avoided. The suggestions for improvisation and song accompaniement given at the beginning (on the 'yellow' pages) should not necessarily be dealt with all at once before the chapter 'Playing from Printed Music' but should rather be gradually incorporated into lessons. 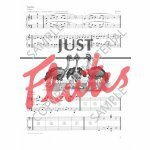 Here, the printed music is intended primarily for the teacher who will play through the exercises. The pupil plays from memory rather than from the book.